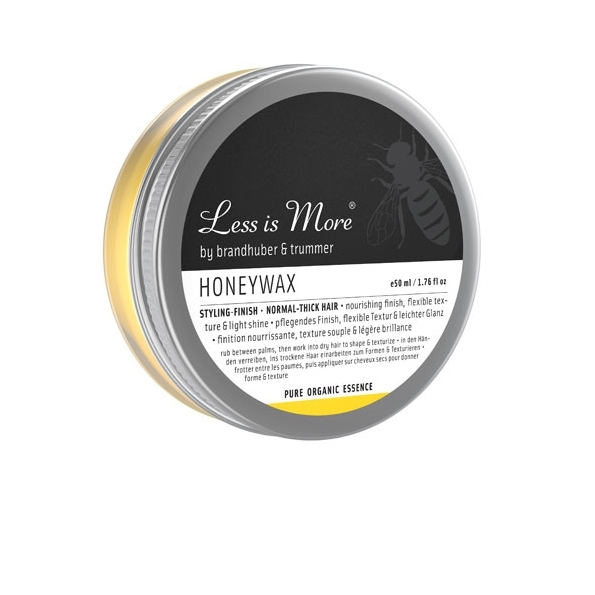 Honey Wax is an organic wax with a light shine and flexible texture that can be used on short and long hair. Made with jojoba oil, beeswax and honey that nourish damaged hair and scalp. Sweet orange oil adds a relaxing and moodbrightening scent whilst toning the skin with anti-inflammatory and antioxidant properties. Organic certified by Austria Bio Garantie. "Old fashioned wax for dapper short hair styles. Warm between hands, a little goes a long way."